That's all we have time for today, but we'll be back bright and early tomorrow with news of tonight's NME Awards in south London. Coldplay (pictured) definitely won't go home empty-handed from Brixton's O2 Academy, having already been named the recipients of this year's Godlike Genius prize. Yoko Ono will also be on hand to pick up the Inspiration award on the eve of her 83rd birthday. 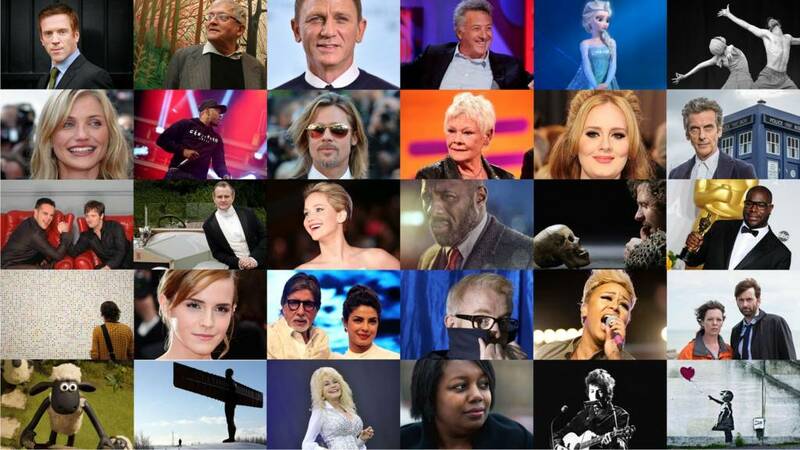 Join us on Thursday to find out which one of that lucky lot probably didn't turn up to collect their accolade. An episode of The Simpsons to be broadcast later this year will feature a short section that will go out live. According to producer Al Jean, it's the first time an animated programme has attempted such a thing. Homer Simpson will take questions from fans in the three-minute segment. People are asked to submit them via Twitter between 1 and 4 May, using the hashtag #HomerLive. In addition to answering questions, Homer - voiced as ever by Dan Castellaneta - will be shown talking about things he "could only be saying live on that day". The scene will make up the final part of a full-length episode that will be broadcast on 15 May. Pop singer Robbie Williams has added two tattoos to his extensive collection - this time celebrating classic British comedians. The former Take That star has been showing them off on Twitter. ...and a Morecambe and Wise inking on his arm, showing the duo in a familiar dancing pose. So which comics should Robbie immortalise in ink next? Have you got any tattoos of famous faces yourself? Let us know! The debut episode of the X-Files reboot has given Channel 5 its biggest ever audience for a drama, the broadcaster has revealed. Its consolidated audience - those who watched it live, plus those who watched it over the following week - was 5.1 million, which equates to 19% of all consolidated viewing in its time slot. That makes it Channel 5's highest-rating drama since its launch in 1997. The six-episode series sees David Duchovny and Gillian Anderson (pictured) return to their roles as FBI agents Fox Mulder and Dana Scully for the first time - on the small screen - since 2002. The first episode of the new series was shown in the UK on 8 February. Viola Beach are on course to enter the top 10 in the singles chart this week, following the death of all four of their members, and their manager Craig Tarry, in Sweden at the weekend. The Warrington band - whose members comprised Jack Dakin, Kris Leonard, Tomas Lowe and River Reeves - were returning from their first overseas gig when they were killed in a car crash. The Official Charts Company said their track Swings & Waterslides had gained 30 places since Monday's official chart update. The cut-off point for this week's chart is midnight on Thursday. The Stone Roses, Kasabian and Liam Gallagher have all urged people to buy the single to help propel the band up the charts, as have the band members' relatives. Money made from the sale of the track will go to the men's families, record label Communion has said. An investigation is under way to determine how the accident happened. We told you yesterday about comic Viz having its Facebook page taken down. Well, now Facebook has reinstated the page - and apologised through their UK spokeswoman for removing it in the first place. Quote Message: We want Facebook to be a place where people can express their opinions and challenge ideas, including through satire and comedy. Upon further review we found that the Viz page had been removed in error. We have now restored it and would like to apologise for any inconvenience caused. We want Facebook to be a place where people can express their opinions and challenge ideas, including through satire and comedy. Upon further review we found that the Viz page had been removed in error. We have now restored it and would like to apologise for any inconvenience caused. Here's how Viz reacted to the climb-down. Paul Merton has overtaken Kenneth Williams to become the second most featured panellist on Radio 4 panel show Just a Minute . The edition that brings Merton's total to 347 episodes, the first of the show's new series, will be transmitted on 22 February. Clement Freud, who appeared regularly from the first episode in 1967 until his death in 2009, keeps the top position though. The broadcaster and writer has 544 episodes to his name, some 32 series' worth of appearances. Here's what Merton had to say about the career milestone. Quote Message: Having over taken Kenneth Williams' total number of appearances on Just a Minute, I would like to say without hesitation, deviation or repetition that I am amazed, astonished, thrilled, seasick and severely gobsmacked. Having over taken Kenneth Williams' total number of appearances on Just a Minute, I would like to say without hesitation, deviation or repetition that I am amazed, astonished, thrilled, seasick and severely gobsmacked. Sioned Wiliam, Radio 4's commissioning editor for comedy, said Merton had "well and truly joined the pantheon of the all-time great players of Just a Minute with his brilliant flights of fancy and sparkling wit." Here's to another 347 appearances! High School Musical star Vanessa Hudgens could be in hot water with authorities in Sedona, Arizona after posting a photo of a heart carved into its famous red rock on social media. The 27-year-old has since removed the snap from her Instagram account but still faces an investigation over whether she's guilty of damaging a natural feature on US Forest Service land. Here's a picture of Donald and Kiefer Sutherland at the Los Angeles premiere of Forsaken, a western in which the father and son actors, fittingly enough, play father and son. Take a look at the trailer for the film, which also features Demi Moore, Brian Cox and this great line: "If I was looking for trouble, you'd already know it!" Here's hoping Kiefer has a meatier role than the one he's saddled with in Zoolander 2, which sees him cameo - as himself - as one of the many partners of Owen Wilson's supermodel character Hansel. The Polish film-maker Andrzej Zulawski - pictured above in 1985 with his one-time partner, French actress Sophie Marceau - has died of cancer at the age of 75. The man behind such films as Possession (1981), La femme publique (1984) and My Nights Are More Beautiful Than Your Days (1989) won the best director prize at last year's Locarno Film Festival for Cosmos, his first film since Fidelity in 2000. We just can't stop watching the Carpool Karaoke spots from James Corden's US talk show. This week it's the turn of Australian singer Sia - complete with the trademark wig she says she wears to "maintain a modicum of privacy". Fair play to the Elastic Heart and Alive singer for taking the mickey out of her face-covering look, stumbling around before getting into the car for a karaoke session. Corden even gets a bit of a singing lesson as they belt out some of her hits and those she's written for other stars, like Rihanna's Diamonds. He even seems to manage some of the top notes on Chandelier, which is pretty impressive. Is it just us, or is Corden's singing getting better and better? It appears Taylor Swift is still emotional about her Grammys win, having become the first woman to scoop the album of the year prize twice. In the wake of Monday night's ceremony, she has posted this picture on Instagram with the caption: "The moment it hits you." One couple who perhaps aren't so sure what hit them are the two people picked out of the audience as being Ed Sheeran's parents. Sheeran, who won the song of the year award, said of his mum and dad: "They have flown over the past four years to come to the Grammys and every time they go, 'Maybe next year.'" At that point a cameraman cut to a proud Mr and Mrs Sheeran clapping. Unfortunately, the couple in question weren't actually his parents. Despite all that excitement, the Grammys TV show attracted its lowest US audience in seven years. The Nielsen ratings company said it was seen by an average of 24.95 million viewers - down 300,000 on last year's show. Yet it was still ahead of 2009, when just 19.1 million viewers tuned in to watch. BBC Two sitcom Boy Meets Girl and BBC One's EastEnders have both been shortlisted for the British LGBT (Lesbian, Gay, Bisexual and Transgender) Awards for their portrayals of transgender issues. Transgender actress Rebecca Root and Riley Carter Millington, the first transgender actor in a TV soap opera, have also been nominated for their work on the shows. Boy George, Sue Perkins and DJ Nick Grimshaw are among the other nominees. Colin Hanks, son of Tom, was in Paris last night for the Eagles of Death Metal concert that saw the US rock band complete the gig so tragically cut short by last November's attacks. The Fargo actor posted this picture, taken from the side of the stage at the city's Olympia theatre, with this emotional message. Quote Message: I'm so proud of my friends. I'm so proud of Paris. I'm so proud of humanity. But above all I'm beyond honoured to have been witness. I'm so proud of my friends. I'm so proud of Paris. I'm so proud of humanity. But above all I'm beyond honoured to have been witness. Here's a bit of lunchtime fun for you. As we know, Leonardo DiCaprio is hotly tipped to win his first ever Oscar this year, having been nominated for best actor for The Revenant. Now someone - specifically, The Line Animation - has had the bright idea to convert his quest for Oscars glory into an arcade-style game. In the game Leo runs down the red carpet, dodging photographers and trying to bag as many awards as he can. He also has to race against fellow nominees like Bryan Cranston and Michael Fassbender, as well as take part in acting challenges. Michael Moore's latest documentary, Where to Invade Next, will have its European premiere at the Berlin Film Festival this evening - but without its director in attendance. The Roger and Me and Bowling for Columbine film-maker was forced to cancel his trip to Germany after being diagnosed with pneumonia. Here's the official statement from the 61-year-old's representatives. Quote Message: It is with regret that Michael Moore has had to cancel his trip to the Berlin International Film Festival due to his recent hospitalisation with pneumonia. Michael is now recovering... and would like to extend his continued thanks to his fans for their ongoing support of the project. It is with regret that Michael Moore has had to cancel his trip to the Berlin International Film Festival due to his recent hospitalisation with pneumonia. Michael is now recovering... and would like to extend his continued thanks to his fans for their ongoing support of the project. The statement said Moore "had been greatly looking forward to attending" the festival and was "truly sad" not to attend. Where to Invade Next, the director's first documentary since 2009's Capitalism: A Love Story, sees him travel to several countries in search of legislation that could be adopted by the US. 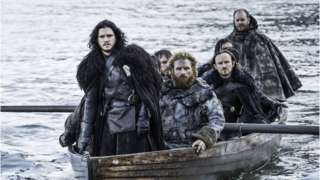 Game of Thrones actress Natalie Dormer (left) has confirmed that the character of Jon Snow, played by fellow Brit Kit Harington (right), is indeed as dead as he appeared to be at the end of the last series. But will he stay that way? Here's what Dormer, who plays Queen Margaery Tyrell in the HBO fantasy series, told Channel 5 News on Tuesday. Quote Message: If you get stabbed that many times, you're dead, you know. There are some basic medical rules that even apply in Westeros. So Jon Snow is dead right now. If you get stabbed that many times, you're dead, you know. There are some basic medical rules that even apply in Westeros. So Jon Snow is dead right now. Pushed on "right now", Dormer repeated emphatically: "Right now." Game of Thrones actress Natalie Dormer confirms Jon Snow's character is dead, but for how long? The stunning Haywain Triptych (pictured) is just one of 17 paintings by Hieronymus Bosch that have been brought together in his home town Den Bosch for a new exhibition marking the 500th anniversary of the Dutch painter's death. BBC Arts' William Cook travelled to the market town that gave the Renaissance artist his name to find out how the Noordbrabants Museum pulled off an international coup. The Newsroom's Olivia Munn and indie film-maker Mark Duplass are among the many Twitter users to express sadness at the news of George Gaynes' passing at the age of 98. They've been joined by Soleil Moon Frye, the former child actress whose role as TV's Punky Brewster saw her fostered - on screen at least - by the much-loved character actor. Spike Lee has said that the Academy of Motion Picture Arts and Sciences would not have taken action to diversify its membership if it had not been for the controversy over the fact that all the Oscar nominees in this year's acting categories are white. Lee was among those to declare they would not be attending the Oscars this month as a result. Here's what the Do the Right Thing director had to say at the Berlin International Film Festival. Quote Message: If a ruckus had not been raised, I believe the Academy would not have made those changes. So it was worth it. A week later they changed everything up. If a ruckus had not been raised, I believe the Academy would not have made those changes. So it was worth it. A week later they changed everything up. Quote Message: That would not have happened if people kept quiet, not just me, Will and Jada. A whole bunch of people, it wasn't just myself. That would not have happened if people kept quiet, not just me, Will and Jada. A whole bunch of people, it wasn't just myself. Will Smith and his wife, Jada Pinkett Smith, are among others who have decided to stay away from the 28 February ceremony. The Academy has since pledged that the number of its women and minority members will be doubled by 2020.